This study guide to landforms shows you how many areas can come into play. Land is the solid part of the world, consisting of dirt, sand, soil, and rocks. Most of these geographical formations are naturally occurring. Some are created by water or are defined by their relationship to water. Continent – A continent is the largest body of land. It moves on its own plate. The Earth has seven continents: North America, South America, Africa, Europe, Asia, Australia, and Antarctica. Some landforms definitions are based on their relationship to water. Island – An island is a body of water that is completely surrounded by water. Examples include Madagascar, Cuba, and Jamaica. Archipelago – An archipelago is a group of islands that are close together. Examples of these are Hawaii, Japan, and the Virgin Islands. Atoll – An atoll is an island formed of coral that surrounds a lagoon. Peninsula – A peninsula is a body of land that is surrounded by water on all but one side. A classic example is Florida. Cape – A cape is also a body of land that is surrounded by water on all but one side. It is smaller than a peninsula. A famous cape in the U.S. is Cape Cod. Isthmus – An isthmus a narrow strip of land that connects two larger bodies of land. One example is Panama, which connects North America to South America. Other landforms are related to them being raised from the earth. Mountain – A mountain can be formed when two tectonic plates collide, pushing up the land between them. These are naturally created. Volcano – A volcano is a mountain that serves as a vent for the Earth’s crust. Lava, hot gases, and volcanic ash can spew forth from within the earth through this opening. Hill – A hill is similar to a mountain, as it is raised land. These are smaller than a mountain, and can be made naturally or by man. Dune – A dune is a hill, made of sand. Their appearance changes regularly, as winds shift the sand. 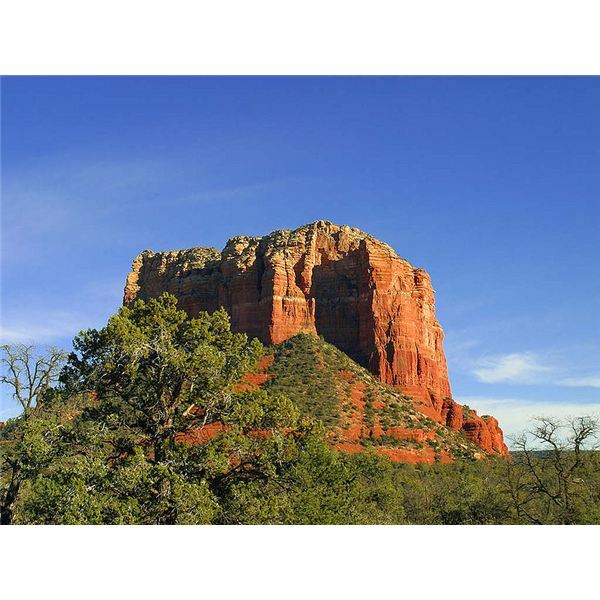 Mesa – A mesa is a large hill that resembles a rock, with steep sides. The top is often flat, and the top surface tends to be wider than its height. Butte – A butte is a large rock that resembles a hill with steep sides, but often has a flat top instead of a peak. It tends to be smaller than a mesa, though they are quite similar. A butte is usually taller than it is wide. Cliff – A cliff is a steep formation, almost like a wall. It is made of rock and soil. Plateau – A plateau is a large, flat area of land that is raised higher than surrounding land. The definition of a landform can also be determined by where the area is formed in the earth. These tend to be within the ground. Valley – A valley is the opposite of a mountain. 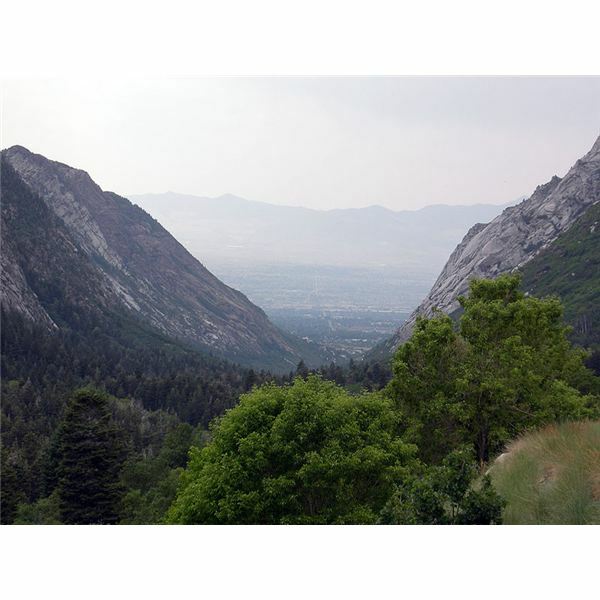 It is a low-lying area of land that actually sits between two mountains. Canyon – A canyon is similar to a valley, with very steep sides and rock formations. It has often been carved by a river. The largest one in the United States is the Grand Canyon in Arizona. Gorge – A gorge is essentially the same thing as a canyon, only smaller. It is usually formed by a stream or small river. Ravine – A ravine is also similar to a gorge, only quite narrow and formed by a stream. Cave – A cave is a large hole in the ground or in the side of a mountain. When studying the definition of landforms, take into account the landform’s location and relationship to the environment around it. Group similar landforms together in your studies (as well as opposites) to help you learn them.